Posted on April 7, 2017 at 6:40 am. SWEDEN’S unique online slot machine developer, Quickspin has announced a new model for its games called the Achievements Engine. The company, owned by Playtech, released a statement on Wednesday detailing the innovative addition which was developed to add something extra to the already exciting slots. The game module uses six-game events, such as a scatter appearance or a two Wild symbol win, and Quickspin Tokens are awarded when achieved. The achievements are set out over four levels, with each offering a payout – the higher the level the better prizes. Players can then cash in their tokens to trigger the bonus feature, such as free spins, re-spins, second screen bonus games and more. Players can claim the rewards on a second page in the game as well as track their progress, adding an extra element of entertainment to the game. Quickspin CEO Daniel Lindberg said the module will be incorporated into every slot developed by Quickspin in the future to provide different rewards to the players. “By giving back players part of their expected losses via Quickspin tokens, we can add huge value to their experience,” he said. Sakura Fortune is a 4×5 reel slot featuring 40 paylines which will be available at our recommended online casinos, including SlotsMillion, on April 11. It follows a heroine as she battles evil emperors and features free spins, re-spins and nudges. 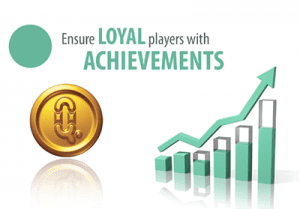 Quickspin said the Achievements Engine coincides with Playtech’s innovative view of the online gambling industry in terms of real-time engagement and allows licensees to further incentivise players. “By building this into our slots via our Achievements Engine, we can better engage players and offer them a more fun and immersive experience,” Lindberg said. Quickspin was founded in 2011 and established itself as a unique gambling provider in the industry. Offering a small catalogue of high-quality slots, the provider caught the eye of hundreds of operators around the world. Playtech also noticed its potential and acquired the company in March 2016. Quickspin is available at many of our recommended online casinos which can be accessed by players all around the world.